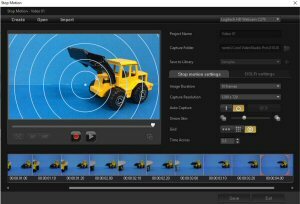 Highly creative and surprisingly easy-to-use, VideoStudio X10.5 enables users of all skill levels to make movies that are uniquely their own. 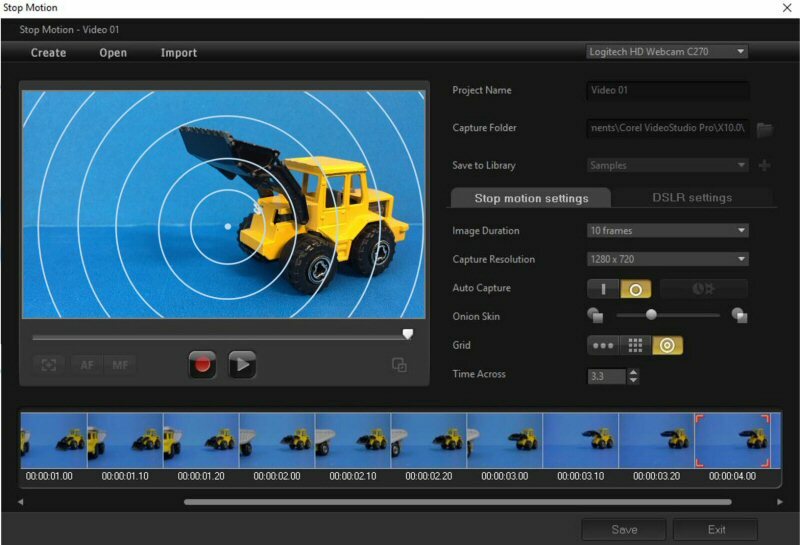 Free to VideoStudio X10 users, the X10.5 update adds powerful 360 video editing, support for portrait-oriented video, and enhanced stop motion animation controls. 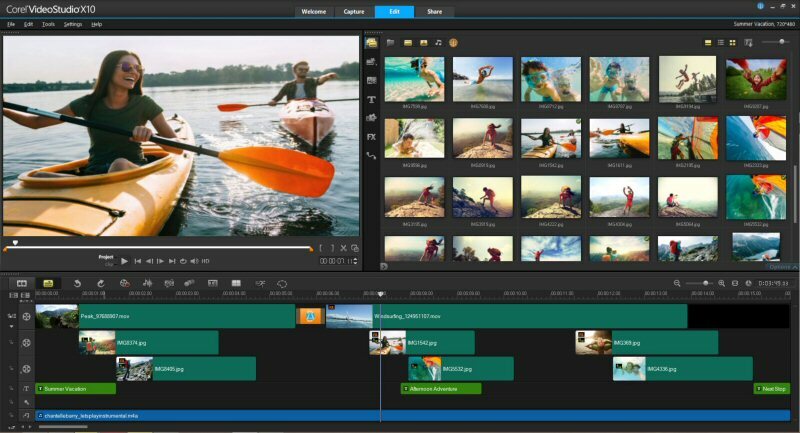 VideoStudio X10.5 now offers a complete 360 video editing workflow. Trim, add titles, music, and more to create truly immersive video experiences. Work with popular 360 spherical video formats including fish eye and dual fisheye. A new Stop Motion Grid makes easier to align your stop motion animations, frame by frame. Note to Editors: There are four images associated with this press release. 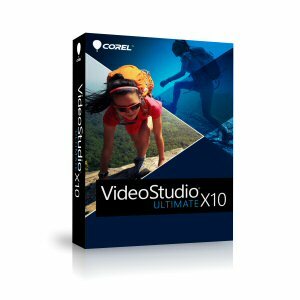 Corel today introduces VideoStudio® X10.5, a free update for VideoStudio® Pro X10 and VideoStudio® Ultimate X10 users that offers new features including powerful 360 video editing, support for portrait-oriented video, and new controls that take the guesswork out of creating stop motion animations. "With VideoStudio X10, we introduced our users to new creative possibilities with 360 video. Now we're taking our 360 editing to a whole new level, enabling you to transform your footage into a sophisticated and immersive 360 movie. The creative possibilities are limitless," said Michel Yavercovski, Director of Product Management for Corel video products. New! 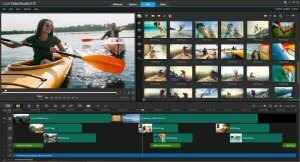 Complete 360 Video Editing: Now you can edit 360 video and export your movie in a 360 video format. Trim, add titles, music, and more to create truly immersive video experiences. Looking to be the director and guide your audience through the action? VideoStudio continues to make it easy to set a path and convert your 360 video to a standard movie. Work with popular 360 spherical video formats: Get new native support for fisheye and dual fisheye 360 spherical video formats. Import your 360 video and start editing. There's no need to convert it to equirectangular format first. New! Native Support for Portrait Video: Enjoy robust editing options for special moments and memories caught on your mobile device in portrait orientation. Now you can edit and export your vertical videos without black bars on the sides. New! Stop Motion Grid: Easily produce a stop motion animation frame by frame with the help of new grid controls for easier alignment. The new VideoStudio X10.5 update is available as a free download to registered Corel VideoStudio Pro X10 and Corel VideoStudio Ultimate X10 customers. New users can purchase Corel VideoStudio Pro X10 with the X10.5 update for $79.99 (USD/CAN) / EUR 69.99/ £69.99 (SRP). VideoStudio Ultimate X10 with the X10.5 update is available for $99.99 (USD/CAN)/ EUR 89.99/ £89.99. European prices include VAT. Upgrade pricing is available. For a free trial version of Corel VideoStudio, please visit www.videostudiopro.com. To access volume licensing for commercial and education organizations, please visit www.corel.com/licensing. Corel is one of the world's top software companies, boasting some of the industry's best-known graphics, productivity, and digital media products. We've built a reputation for giving customers more choice, and delivering solutions that are easy to learn and use. Our mission is simple: help people achieve new levels of creativity and productivity. Corel's product lines include CorelDRAW® Graphics Suite, Painter®, PaintShop® Pro, VideoStudio®, WordPerfect® Office, Pinnacle Studio™, Roxio Creator®, Roxio® Toast®, and WinZip®. For more information on Corel, please visit www.corel.com. © 2017 Corel Corporation. All rights reserved. Corel, the Corel logo, the Corel balloon logo, VideoStudio, CorelDRAW, Painter, PaintShop, Pinnacle Studio, Roxio Creator, Toast, WordPerfect, and WinZip are trademarks or registered trademarks of Corel Corporation and/or its subsidiaries in Canada, the U.S. and elsewhere. All other trademarks mentioned herein are the property of their respective owners. Patents: www.corel.com/patent.